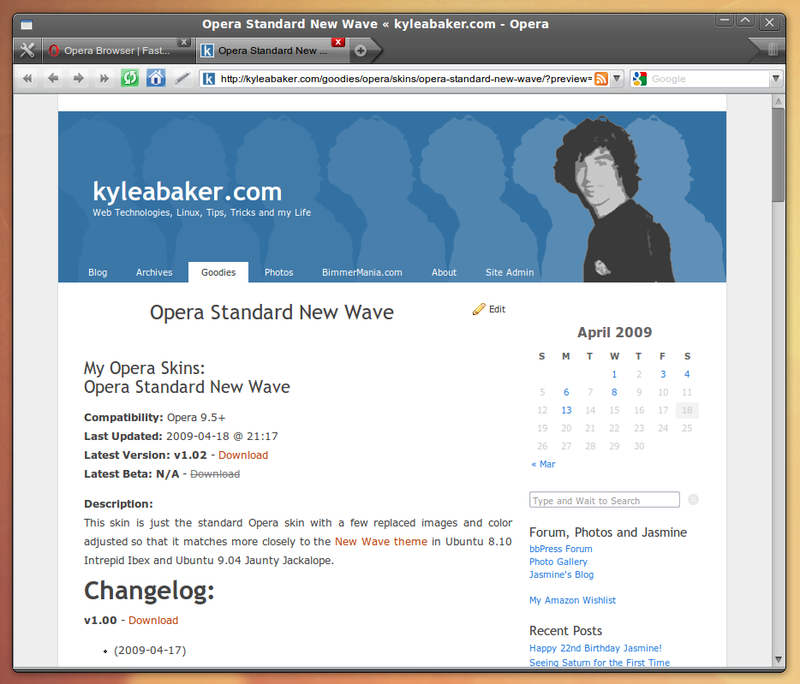 This skin is just the standard Opera skin with a few replaced images and color adjusted so that it matches more closely to the New Wave theme in Ubuntu 8.10 Intrepid Ibex and Ubuntu 9.04 Jaunty Jackalope. 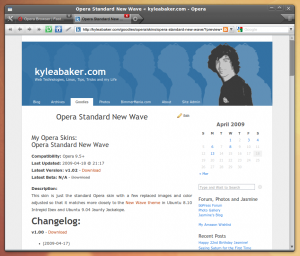 Updated the skin.ini file to match the current skin.ini in the current default Opera skin so the new features will be present. 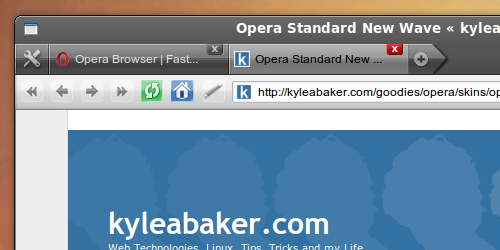 Added missing images from the current default Opera skin. Fixed the progress bar icons so they match the New Wave theme. Added different Speed Dial backgrounds to each of the 4 linked to above for experimenting. 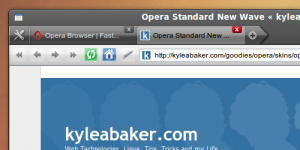 Added a little more detail to the current tab image.